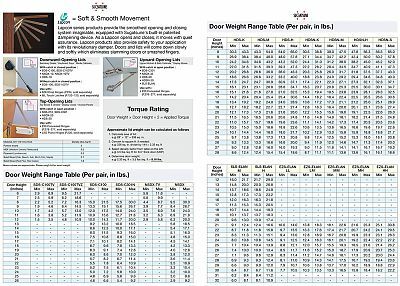 Sugatsune SDS Lapcon Soft-Down Stay For Upward and Top-Opening flap doors. Designed to hold door in open and closed position. One-way rotary damper offers smooth and soft-downward movement. Use with concealed or single knuckle hinges (sold separately). Lapcon series products provide the smoothest opening and closing system imaginable, equipped with Sugatsune's built-in patented dampening device. As a Lapcon opens and closes, it moves with quiet assurance. Lapcon products also provide safety to your application with its revolutionary damper. Doors and lids will come down slowly and softly which eliminates slamming doors or smashed fingers. Note: This product is also known as SDS-C301N/WHT on other websites.